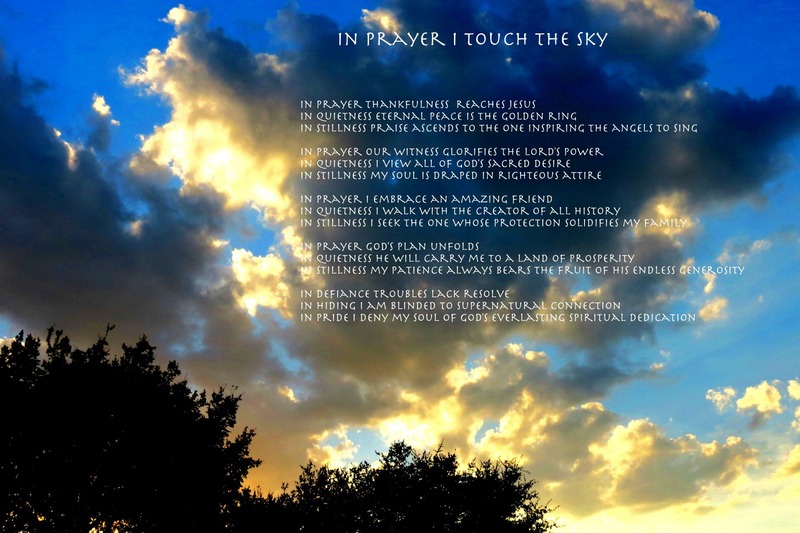 In Prayer is an original spiritual poem by David Norman. Inspired by the Word of God and the Texas Hill Country, I have composed many spiritual poems, nature poems, and inspirational poems. Inspiration: Prayer, our greatest opportunity for love, protection, guidance, understanding, patience, and companionship. Constant communication with God and Jesus is life changing.